R.I.C.E (Rest, Ice, Compression, Elevation) is a common first aid treatment for muscle sprains and strains, and may aid in quickening the recovery process. Traditionally applying ice in the first 48 hours of an injury helps to minimise pain, swelling and inflammation by reducing the amount of blood flow and heat rushing to the injured area. Ice however, should not be applied for more than 20 minutes at a time or tissue damage may occur. 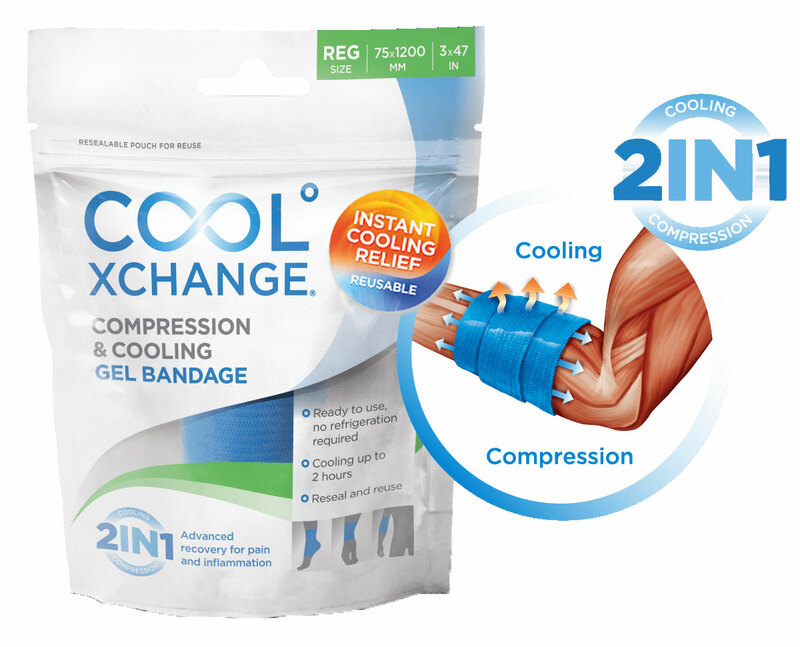 Now with CoolXChange Gel Bandage, applying R.I.C.E methodology has never been easier or more effective. without causing ice burns unlike traditional cooling methods. Combine your CoolXChange compression and gel bandages with high quality supports and braces from Thermoskin. Thermoskin is a revolutionary leader in joint support, injury and pain management and have a long history of providing supports and braces for the prevention, treatment and rehabilitation of sprains, strains and injuries to help people improve their performance to live happy and healthy lifestyles. With your CoolXChange compression gel bandages ready to go at any time and your Thermoskin supports and braces you will be ready for whatever life throws at you!